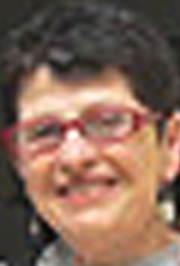 Jennifer Kamp is a former arts educator in Geelong secondary and tertiary colleges. Her art practice explores the impact of change on place and the contemporary landscape. Her current work investigates the possibilities of incorporating traditional printmaking and drawing with new digital media to contextualise her ideas. Her works are represented in the collections of the National Gallery of Australia ACT, Australian Print Workshop, and Latrobe University Victoria. The focus of my paper is to show how the boundaries between theory and practice, narrative and analysis, word and work can be interwoven with new technologies to assist creative research into developing an understanding of a contemporary and transient landscape. As a visual artist, grounded in traditional printmaking and painting methodology, I describe my path towards learning unfamiliar digital technologies and how I developed ways of working in and visualising a changing world, with new pictorial possibilities. My ensuing photographic and video works evolved as a layered and reflexive narrative that draws on the past and the passage of time, and explores different ways of understanding the world. My visual work examines conceptions of space, living in a changing neighbourhood in an outer suburb of a regional city, where innumerable rooftops now cover the once grassy hills. The almost identical houses and patterned grids of streets colonise the space, encircling the landscape around a vast shopping complex. My artistic practice cannot be separated from walking through and living in suburban spaces. I decided that viewing the landscape from differing perspectives utilising new media might assist my comprehension of the progress around me. The path of my enquiry developed as an ethnographic narrative; a process of spurts and hesitation, apt metaphors to describe my changing environment and the development of my skills and experiments with my visual research. Through my art works, using different software programs, I investigated the phenomena that may have contributed to the change in my suburban landscape and work out how to visually represent the relationships that give the space new meaning. My reflexive enquiry enables me to evoke interplay between the past and present, linking the virtual with the actual through manipulation of the technical, to engender visual meta-narratives that present new possibilities and ways of representing the contemporary landscape.